What you need to know about e-logs, HOS and the FMCSA ELD mandate compliance! The FMCSA ELD Mandate will apply to most motor carriers and drivers who currently maintain records of duty status (RODS) to comply with 49 CFR 395.8(a). This is a rule applicable to commercial buses and trucks, and it applies also to Canada and Mexico-domiciled drivers, while operating in the U.S.
With a view to maintaining safety standards, it’s important to track Hours Of Service (HOS), which the ELD (electronic logging device) does in a simplified yet precise way. By adhering to the HOS rules, drivers will get enough rest and drive safer. Moreover, they won’t end up paying a fine because of an error in their paper logs. ELDs will also prevent HOS violations. 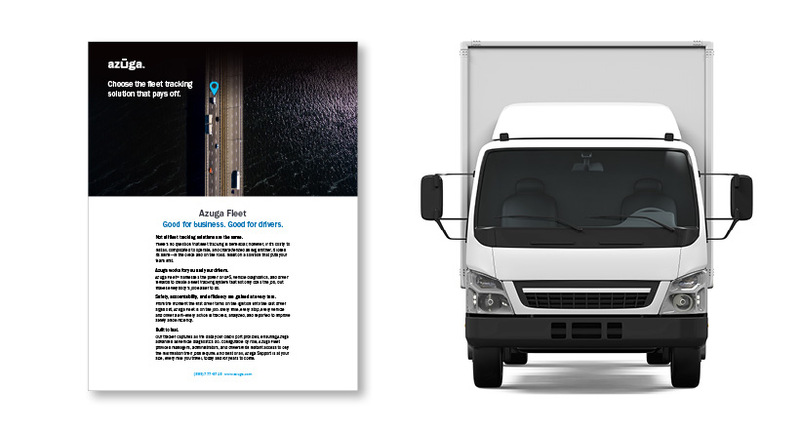 Besides fleet safety, efficiency and profitability are the common goals that customers typically look for, and a survey of tens of thousands of vehicles operated by Azuga’s customers shows fuel savings of up to 15%, reductions in unauthorized vehicle use of 12% and productivity increases of 10%. Many of them have questions about new compliance requirements and aspects of the FMCSA ELD mandate. Here’s a quick look at what you need to know about e-logs, HOS and compliance! How can my company avoid incurring penalties? Any failure by your Company or its drivers is penalized like other non-compliance traffic offenses. The extent of penalty is determined by the level of intent in not complying, whether you are a repeat offender, and by responsibility in the particular violation. Any disabling, deactivating or tampering with an ELD is an acute violation as per FMCSA rules. Acute violations are to be accorded an immediate corrective action, and the initially calculated fine for such acute violations is $8,672. FMCSA has formulas to calculate the penalty for various critical violations such as failing to require drivers to file RODS. A comprehensive list of all penalties can be found in the Federal Register. Let me outta here! Who is exempt from the FMCSA ELD mandate compliance requirements? If you are a driver using your timecard exception, RODS and use of ELDs is not required. The following drivers are also not required to use ELDs, but, as bound by the RODS requirements in 49 CFR 395, must prepare logs on paper, use an Automatic On-Board Recording Device (AOBRD), or a logging software program. The ELD will log the time a driver has driven the vehicle and render an accurate Hours of Service record. It monitors the vehicle’s engine and collects information on the running of the engine is running, the vehicle’s movement, the number of miles driven, and the time the engine has been on. To comply with the mandate, an ELD has to connect with the commercial motor vehicle’s engine and record whether the vehicle’s in motion. It should let the driver easily switch his or her status from on-duty to on-duty but not driving, or to off-duty: it should enable ready viewing of the driver’s RODS. This saves many hours of paperwork time for the driver and also several hundreds of dollars in administrative cost per driver. What do businesses subject to ELD compliance have to do? All motor carriers whose drivers currently maintain a record of duty status under HOS regulations need to comply with the ELD Mandate. A motor carrier will select an ELD solution, configure and install the ELD solution, set up ELD user accounts for their drivers, authorize their support team who will manage user accounts, and review and manage drivers’ ELD records. Motor carriers are required to retain ELD record of duty status (RODS) data and backup data for a period of six months. ELD records must be backed up on a device that is independent of the main data storage. What does the driver do when he or she logs on to the ELD? First, set the status: on-duty or on-duty but not driving. Then, the driver must immediately take a look at any unassigned driving time. If the unassigned record does not belong to them, this should be indicated in the ELD record. However, if the driver had been driving during the unassigned time that has been logged, they should add it to their own record. A motor carrier should be able to explain to authorized safety officials why there is unassigned time or identify the driver to whom it is to be assigned. What do ELD solution providers have to do? For solution providers to meet FMCSA ELD compliance mandates, their solutions must be certified and registered with the FMCSA, and they need to certify that their devices meet the FMCSA’s standards. Leading suppliers of ELD solutions provide tested, complete solutions which have all of the components needed for fast, quality deployment. Drivers must complete DVIRs (Driver Vehicle Inspection Reports) daily for any commercial vehicle they operate, as specified by Federal Law 49 CFR 396.11 and 396.13 and enforced by the DOT. Leading e-Logs solutions include both pre-trip and post-trip DVIRs into the HOS workflow, helping drivers to complete and submit timely inspections, and making it easier for administrators and fleet maintenance personnel to track and perform repairs. My drivers do their logs on laptops and smartphones. Are those considered e-Logs? These devices are not AOBRDs, EOBRs, or ELDs unless they are directly or indirectly connected to the engine to automatically collect the required movement and speed data. Non-integrated devices are allowed for logging but the driver must be able to produce a compliant paper log on demand. Which should I use for an ELD solution—a cell phone or a rugged tablet? Rugged mount tablets with software controls prevent tampering of critical settings like Bluetooth on/off and GPS location on/off. Inspectors also find reading the display much easier than looking at a cell phone. Anything else opens up risk to being out of compliance. You can use a wireless device so long as it complies with FMCSA technical requirements and has been certified and registered with FMCSA. When you use a portable ELD, make sure that it stays mounted in a fixed position during the vehicle’s operation and is easily viewable by the driver from a normal seating position. 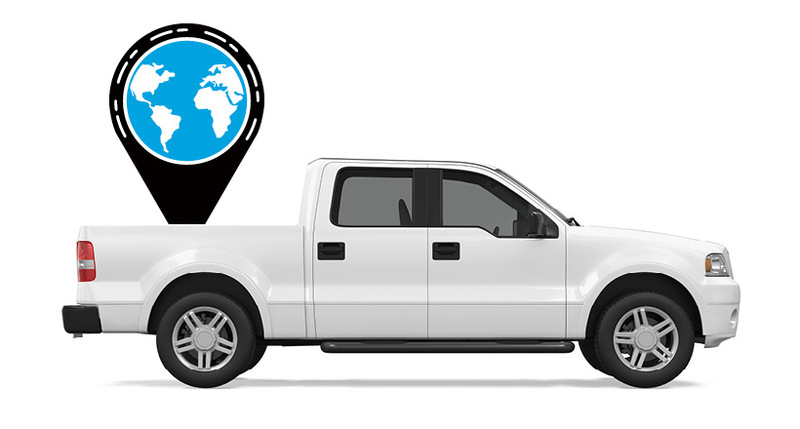 What does a driver using an ELD have to do at a roadside inspection? The FMCSA ELD mandate requires drivers to electronically transfer the records for the last 7 days and the current day to an inspector. This is typically done through a web address or an email account, or using a USB 2.0 or Bluetooth® connection. During a roadside inspection, if a driver is using an AOBRD, he or she has only to show the officer the device display. If a hard copy of the records is requested by an officer, the carrier must provide them within 48 hours. In addition, the driver is expected to provide any supporting documents that are in his or her possession to the inspector upon request. If the e-logs device stops working, what are drivers expected to do? If you are driving, note the failure of the device and reconstruct your logs for the current day and the previous 7 days. Carry on with handwritten logs until the device is set right. Make sure you inform your fleet manager in writing within 24 hours. Should I have our GPS records handy if asked for them during an audit? Even if your records from GPS are not a part of the e-log system, they are considered “supporting documents” for HOS compliance and auditors may request them to verify the drivers’ logs. The motor carrier must maintain such records for six months. When does the FMCSA ELD mandate come into effect? You can use a paper log until December 16, 2017. Thereafter, you could be on an AOBRD ( automatic onboard recording device) or an ELD. The ELD mandate allows the use of AOBRDs (installed before December 18, 2017) until December 16, 2019. After this, they must comply with the ELD technical specifications. A compliant Electronic Logging Device is one that monitors the vehicle’s engine operation, detects if the engine is on or off, whether the vehicle is stationary or moving, how many miles driven, and for how long the engine has been running. At regular intervals, it automatically creates a record of trip information such as date and time; location; engine hours and vehicle miles. The record will also contain the driver ID, authenticated user, and carry details of the vehicle and the motor carrier. What needs to be in the vehicle cabin related to the ELD? Further, if you happen to be using an AOBRD, you will also be in possession of an instruction sheet that shows step-by-step how to display HOS records to an authorized safety official. You’ll also carry a bunch of paper grid graphs for RODS and related information for the rest of your current trip, in case the AOBRD fails. Can I shift an AOBRD from one vehicle in my fleet to another after the FMCSA ELD mandate compliance date of Dec.18, 2017? 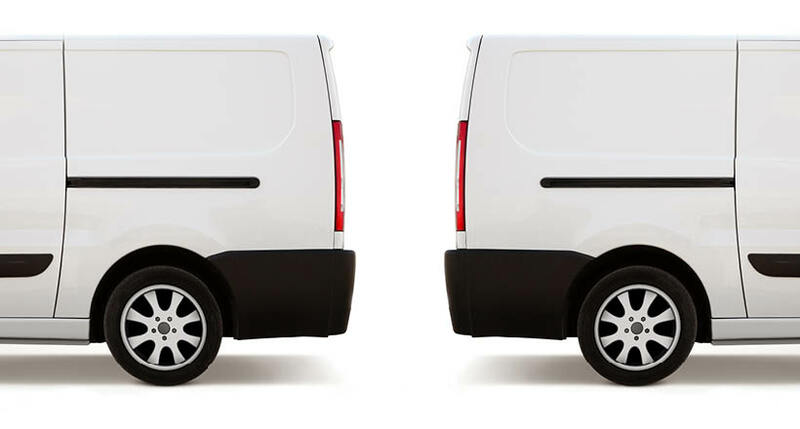 If your fleet currently has some AOBRDs and you bring in a new commercial vehicle to replace one, you can shift the AOBRD from the old one to the new vehicle. But you can’t buy or install a new AOBRD after that date. The transition to ELDs will be complete. Do drivers certify their RODS on the ELD? They do. It’s important that they certify their RODS prior to logging off the ELD, and only then shut down the engine. If a driver does not take care, a malfunction code can happen such as a change in odometer reading. Who can correct an inaccurate e-log record? A driver can use the back office support system to edit his or her logs. Administrators can also adjust logs with input from the driver. Correction is permissible to ensure an accurate record. However, the system retains detail of original record, along with the date, time of adjustments and the identity of the individual making corrections. In the case of team driving, corrections are accepted only when both drivers confirm the edit. However, while the vehicle is in motion, co-drivers cannot switch driving roles on the ELD. Who has the accountability for the integrity of RODS data since both the driver and the motor carrier have editing and certification rights? The driver and motor carrier have shared responsibility for the integrity of the records. Certification of the record by the driver helps in protecting drivers from any unilateral modification. If the driver is unavailable or unwilling to verify the record, the carrier’s edit and annotation would remain part of the record. Which Federal website is the authoritative source for ELD FAQs? What are the other ways my business can gain from an eLog solution, apart from complying with the FMCSA ELD Mandate? Azuga’s customers report higher productivity through more accurate tracking of time at job sites, stoppage, travel time, and time wasted to due to route diversions. Reduce miles driven, risky driving behaviors, and unauthorized use of vehicles and equipment, dramatically lowering risk. Accurate trip reports and fuel records. ELDs help drivers provide more accurate trip reports and fuel records. In turn, it becomes easier for fleet administrators to comply with IFTA and IRP rules and to renew vehicle registrations. Travel time estimates to reach a job site become more accurate. This helps in vehicle allocation and dispatch decisions. Handy for documenting driver vehicle inspections and for managing and tracking vehicle maintenance schedules to stay on top of repairs. Azuga has been an industry trendsetter with its Driver Reward Program which helps organizations incentivize performance by evaluating Driving Scores. The scores directly reflect the driver’s behavior on key parameters such as acceleration, braking, speeding, and idling. Scores also take into account the prevailing weather. Azuga’s credo is “When drivers compete, everyone wins”. We advise customers on practices to reduce driver attrition, improve productivity, and boost fleet safety.